Under the motto “Support the most talented young scientists” the Foundation for Polish Science has launched a campaign to raise funds for its stipend holders—laureates of the Foundation’s START programme. START, Poland’s largest stipend programme for young scientists, has been carried out by the Foundation for Polish Science (FNP) for the past 26 years. The programme is a financial challenge the Foundation finds it harder and harder to meet. 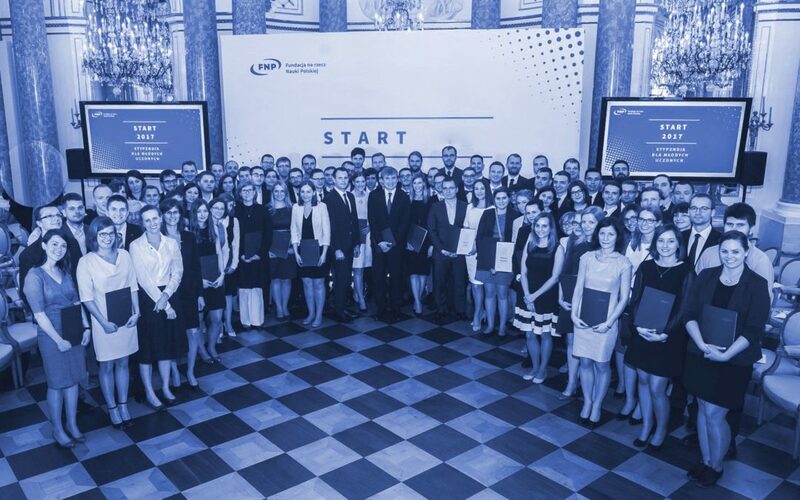 Every year FNP awards over PLN 3 million to young Polish scientists who are winners in the START programme. To ensure the continuation of the programme, the Foundation has just launched a fundraising campaign seeking financial support from individual and institutional donors. In the fundraising campaign, throughout June the Foundation will regularly present film and photo reports about its stipend winners on www.start.fnp.org.pl/en and Facebook. Prof. Magdalena Król, 2011 START laureate, Prof. Janusz Bujnicki (START 2003), and Prof. Marcin Drąg (START 2005) have been named as the ambassadors for the fundraising campaign. Since 1993, the Foundation has supported over 2,900 scientists with START stipends. Every year the stipends are awarded to about 100 researchers below age 30 from all fields of inquiry. This allows the Foundation for Polish Science to assist the most talented young people during the difficult beginnings of their research career. Last year donors to the START programme included philosopher Prof. Barbara Skarga and physicist Prof. Adam Sobiczewski. Financial support may be channelled to young researchers who are laureates of the START programme via the programme site www.start.fnp.org.pl/en. All of the funds received by the Foundation will be transferred to the stipend winners, and the Foundation will cover the administrative costs itself.